Kamehameha Schools admits children who show potential and who are able, in a timely and satisfactory manner, to meet all academic, physical and religious activities requirements which together comprise the fundamental nature of a Kamehameha education. Kamehameha admits children on the premise that they have the intent and ability to graduate from Kamehameha. Demonstrated an average to above-average understanding of foundational mathematics concepts and reading skills. Meets attendance requirements, with or without accommodation. *Limited vacancies are available for grades 10 & 11 at KS Kapālama only. Applications are available online beginning on August 15. The application deadline for the 2019-2020 school year is September 30, 2018. Applications are submitted online. If you require assistance to submit an online application, please contact one of our three campus Admissions Offices, the Applicant Services Center at Kawaiaha‘o Plaza in downtown Honolulu, or at one of Kamehameha Schools’ Regional Resource Centers. To see a list of support sites locations and contact information click here. *Kindergarten applicants will need to submit their original birth certificate to the Ho‘oulu Hawaiian Data Center (HHDC) to validate their age. Until the applicant’s birth certificate is submitted, their application for admission to Kamehameha Schools is considered incomplete. Children who apply for admission to a Kamehameha Schools K-12 campus may also apply to the Kīpona Scholarship program. The Kīpona Scholarship program provides need-based financial assistance to children attending participating private schools in Hawai‘i (other than Kamehameha Schools). This year, the scholarship is available to children entering kindergarten and grades 6 or 9 in SY 2019-2020 (statewide), or to children entering grade 7 in SY 2019-2020 from O‘ahu, West Hawai‘i, Kaua‘i, Moloka‘i, Lāna‘i or Hāna. For a list of participating Kīpona Scholarship Schools click here. Please note that this list will be updated with the 2019-2020 participating Kīpona Schools in mid-September 2018. Kīpona applicants to grades 6, 7 and 9 are required to meet minimum academic requirements through the KS Admissions Office. Therefore all Kīpona applicants are tested and applicants to grades 6, 7 and 9 must submit their report cards. Kindergarten applicants to Kīpona are not tested. The single application point for both Kamehameha’s K-12 campus program and the Kīpona Scholarship program is designed to simplify the process for parents and provide multiple opportunities for Native Hawaiian keiki to attend private schools. Please note that grade level and regional eligibility for the Kīpona Scholarship program is re-evaluated annually and subject to change. Residency requirements apply to the applicant and his/her parents/legal guardians, all of whom must be legal residents of the island/region and physically residing on the island served by the campus to which they are applying as of September 30, 2018. If the applicant’s parents/legal guardians are not married and/or are living in separate homes, the physical residence of the applicant’s primary custodial parent/guardian and the island or state in which the applicant actually lives and attends school will determine his/her residence and eligibility. Regional allocation numbers are obtained from the Department of Education which provides a report of the ethnic breakdown of students in every DOE school, statewide, in grades K-12. Kamehameha uses these numbers to determine regional allocations. These statistics are reviewed annually, and updated as needed, to ensure that even those living in rural and/or neighbor island communities have access to our application and admission process. Please note that as of August 2017, Kamehameha Schools has adopted updated regions. The new regions are different from the previous regions that most of our families are accustomed to. Kamehameha Schools’ Kapālama Campus on O‘ahu has a boarding community of 450 students in grades 7-12. The Boarding Program is a residential learning community and provides a home away from home for Neighbor Island students. The Boarding Program provides students with a safe, nurturing environment that complements KS’ regular academic program. The program is designed to encourage student efforts to be respectful, responsible and resourceful members of our lāhui. The program is full and varied, and provides haumāna the opportunity to learn and practice independent life skills in a safe environment with the guidance and support of caring adults and peers. Boarding spaces are reserved for Neighbor Island students from islands/communities not presently served by Kamehameha’s Neighbor Island campuses. Currently, there is no boarding program at either the Hawai‘i or Maui campuses. E hele mai to our Kapālama Campus boarding website link. 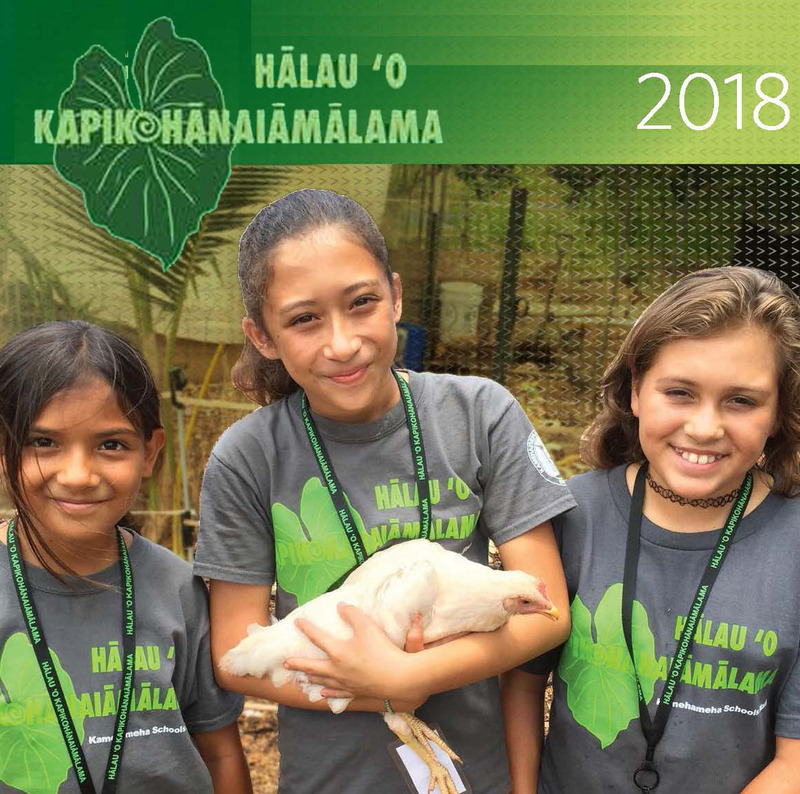 Kamehameha’s K-12 program gives priority to students who reside in the State of Hawaiʻi, however, out-of-state students may apply and be considered for admission to the following grades: 6, 7, 9, 10 and 11. Kamehameha will not accept applications to preschool or elementary school (at any campus) from out-of-state students. No exceptions will be made. Boarding: Boarding at the Kapālama Campus may be requested, but is not guaranteed. Boarding is not available at the Hawaiʻi or Maui campuses. Testing for All Middle and High School Applicants: Testing is in November. 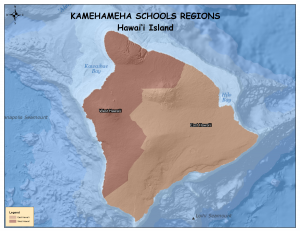 If an applicant is unable to attend one of Kamehameha’s scheduled tests, they must register to take the ISEE (Independent School Entrance Exam) at a Prometric testing center in their area. To meet our evaluation deadlines, testing for grades 6-11 must be completed by November 30, 2018. When prompted, please select school code 120055. Kamehameha Schools is not responsible for costs associated with testing at a Prometric site. Interviews for Grades 6-9 Applicants: Interviews must be conducted in-person by one of our staff, preferably at the campus to which the student is applying. Telephone or Skype interviews are not acceptable. Kamehameha is not responsible for the travel expenses of applicants. Only applicants to grades 6, 7 and 9 are interviewed. If an applicant is unable to attend one of Kamehameha’s scheduled interview sessions in November/December, interviews may also be scheduled during the Christmas break at one of our campus offices with at least one month advance notice. All interviews for SY 2019-2020 must be completed by the end of December 2018. Admissions priority is given to applicants residing in Hawaiʻi with their parents or legal guardians, all of whom are current and permanent residents of the State of Hawaiʻi in accordance with KS policy. 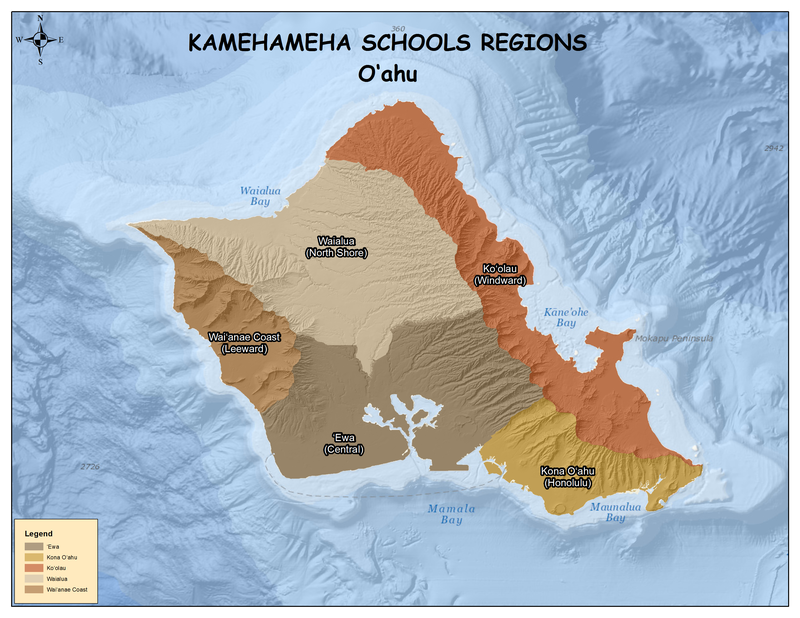 Kamehameha observes Geographic Regional Allocations to ensure equitable geographic distribution of spaces. Therefore, upon acceptance, parents must verify the physical home address listed on their child’s application. In addition, if the applicant’s biological parents are not currently married, you will be required to submit all necessary court documents (divorce decrees, custody agreements, legal guardianship, etc.) to determine parental authority. Parental authority establishes who has the legal authority to make decisions and to sign school documents on behalf of this child prior to your child’s enrollment at Kamehameha Schools. NOTE: By policy, all applicants to Kamehameha Schools must be U.S. citizens. Even if an applicant is of native Hawaiian ancestry, if they are not also a U.S. citizen Kamehameha Schools cannot accept or process their application. In accordance with the ADA, children with a diagnosed, life-long disability that requires the utilization of accommodations during the testing and/or observation or interview phases of the application process may receive the required accommodation in these phases of Kamehameha Schools’ application process. Tuition may be paid in-full at the beginning of the school year, in two “semester” payments, or in monthly installments. Before applying your child for admission to Kamehameha Schools (KS), please be sure that any outstanding debts you have with KS are cleared. An outstanding debt may have been incurred if you have another child who is currently, or was previously, enrolled at KS. An outstanding debt may delay application processing for your child. Applicants whose families have outstanding debts may not be offered admission to KS until the debt has been cleared. If you have an outstanding debt, please call our Student Billing Office at 842-8309 or toll-free at 1-800-842-4682 x28309. Admission to Kamehameha is selective and, due to the large number of applicants, very competitive. Applicants who meet the September 30, 2018 deadline will be scheduled for standardized testing. Kamehameha will schedule kindergarten applicants for testing beginning in October through early December. All testing for Kamehameha Kindergarten must be completed by the end of December. Once testing is completed, scores are evaluated and applicants are divided by campus, region and gender, and then ranked by their test scores. Based on the strength of their test scores relative to their region and gender grouping, a small number of students from each region/gender group are asked to participate in the second phase of testing: A classroom observation. Classroom observations are conducted during the first two Saturdays in March and are used to evaluate an applicant’s non-cognitive skills, social skills and general school readiness. Parents of students invited to participate in the classroom observation will also be asked to complete a Questionnaire and submit a Teacher Reference Report (completed by their child’s current preschool teacher). Kamehameha will schedule grade 4 applicants for testing in January. Testing is conducted in groups of 20-25 children in self-contained classrooms. Testing takes about 2-1/2 hours and includes an essay-writing component. Applicants are also required to submit their final report card from grade 2, and their first semester report card for grade 3 (once they are received, typically in January). Parents/Legal Guardians of students who are home schooled should call our office if they have any questions regarding report card submittal requirements. Applicants also submit two Teacher Reference Reports (one from the current classroom teacher, and one from last year’s teacher). Kamehameha will schedule applicants to grades 6, 7 and 9 for testing in November. Testing is conducted in groups of 20-25 children in self-contained classrooms. Testing takes about 3-1/2 hours and includes an essay-writing component. In addition to testing, applicants are scheduled for a personal interview with a Kamehameha teacher or administrator in late November or early December. Applicants are required to submit their final report card from the previous school year, and their first quarter report card for the current school year (once they are received, typically in October). Parents/Legal Guardians of students who are home schooled should call our office if they have any questions regarding report card submittal requirements. Applicants also submit two Teacher Reference Reports, one from the current classroom teacher and one from last year’s teacher if students are in self-contained classrooms, OR one from the applicant’s current math teacher and one from the applicant’s current Language Arts/English teacher. Applicants also submit Administrative Reference Report from their current Principal, Vice Principal or School Counselor. Applications to grades 10 and 11 are only accepted for the Kapālama campus. Kamehameha will schedule applicants to grades 10 and 11 for testing in late November. Testing is conducted in groups of 20-25 children in self-contained classrooms. Testing takes about 3-1/2 hours and includes an essay-writing component. Applicants are required to submit their final report card from the previous school year, and their first semester report card for the current school year (once they are received, typically in January). Parents/Legal Guardians of students who are home schooled should call Admissions if they have any questions regarding report card submittal requirements. Applicants also submit two Teacher Reference Reports one from the current classroom teacher and one from last year’s teacher if students are in self-contained classrooms, OR one from the applicant’s current math teacher and one from the applicant’s current Language Arts/English teacher. Applicants also submit Administrative Reference Report from their current Principal, Vice Principal or School Counselor. Once all tests, interviews and observations have been administered and completed, and all grade-level required documents (report cards, references, etc.) have been received, applicants are reviewed by a four-member rating committee comprised of current Kamehameha Schools’ faculty and staff who work with students in the grade level to which the children are applying. Committee members rate the applications individually, and then the Admissions Office compiles their scores to arrive at an overall “composite score” for each student. The applicants are divided by campus, region and gender, and ranked by their composite score. Committee members then meet to discuss the applicants and make their final selection recommendations. The Admissions Office records committee decisions and notifies parents.